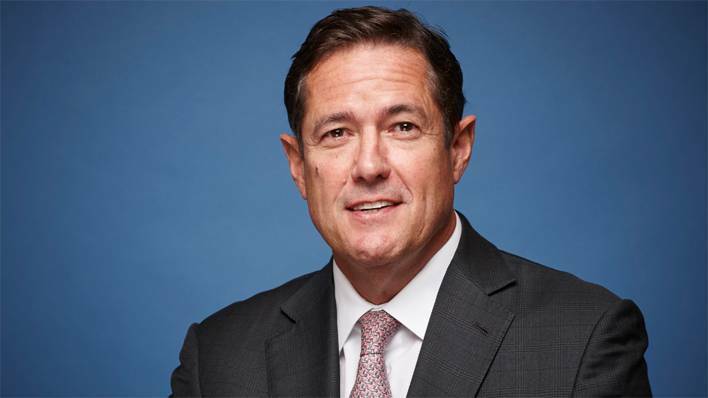 Barclays is leaving Africa as it looks to consolidate the group and increase shareholder returns after a 2% drop in full-year profit. The bank will sell its 62% stake in Barclays Africa Group Limited (BAGL) over the coming few years and then focus on two divisions – Barclays UK and Barclays Corporate and International. BAGL was formed in July 2013 through combining Absa Group Limited and Barclays’ African operations. Absa, a South African banking heavyweight, is also majority owned by Barclays. It continues to operate under the Absa brand in its home market. Barclays’ adjusted pre-tax profit was £5.4 billion for the year ended 31 December 2015, compared with £5.5 billion last year. According to Reuters, this is below the average forecast of around £5.8 billion from a consensus of analysts’ forecasts. Despite the pending sale, Barclays points out that BAGL is an independently-listed entity on the Johannesburg Stock Exchange, regulated by the South African Reserve Bank and is “well capitalised with a track record of strong returns”. Maria Ramos, Barclays Africa Group chief executive, says it continues to offer products and services to more than 12 million customers in 12 countries across Africa. On the technology side, BAGL is a long-standing user of the Flexcube core banking system from Oracle FSS. The project, carried out in the mid-to-late 2000s, was a major one for Oracle FSS. Absa in South Africa, meanwhile, continues to run a host of legacy solutions, including Misys’ Midas. How much cost-cutting and “fat trimming” can be done? “When you’ve gone through the muscle, you’re going into the bone. And they’re probably into the muscle already,” Wheeler commented. Another investment specialist, Julian Chillingworth, who is chief investment officer at Rathbone Brothers, was also far from positive. “Investors will be disappointed if they do not get any news on what the longer-term strategy for both the investment bank and the African operations are,” he told Bloomberg. The last few months have not been great for the British bank. In the latter part of 2015 it suffered several technical glitches in the UK; was fined £72 million for its “poor handling” of financial crime risks by the UK’s Financial Conduct Authority (FCA); its investment division had to pay more than $13.75 million (£9.3 million) in the US over accusations that it let US customers make unsuitable mutual fund deals over five years; and announced it would cut 30,000 jobs by the end of 2017 as part of its latest global cost-cutting strategy. Earlier in 2015, it was handed the biggest UK bank fine in history – £284.4 million – as part of its eye-watering £1.5 billion settlement with the Financial Conduct Authority (FCA) and four US regulators over manipulating the FX markets. The group also sacked its CEO, Antony Jenkins, in summer 2015. Jenkins moved to Barclays just three years prior, but was let go as the board felt he failed to transform the bank quickly enough. Today (1 March 2016), Barclays also revealed it is co-operating with the United States Department of Justice and US Securities and Exchange Commission (SEC) concerning investigation into its hiring practices in Asia. It is not alone, several US banks and HSBC are already being investigated for “hiring relatives of state officials in countries such as China”. Despite all this, Staley, who joined in December 2015, remains upbeat. “There is of course more we need to do and areas where I believe we can move much faster to deliver the high performing group that Barclays can and should be,” he says. Samsung Pay has officially launched in the UK, continuing the evolution of the digital economy, but does this technology have the potential to disrupt the global pecking order? A pan-African vision has inspired the African Stock Exchange, which has ambitious plans to tap the potential of the continent using hosted technology and a secure base in Mauritius. Hong Kong-based carrier services firm PCCW Global has banded together with 16 other high profile international network operators, including China Unicom, Telecom Egypt, Etisalat and Ooredoo, to construct a high capacity submarine cable system between Asia, Africa and Europe. Mobile phones may have revolutionised the way of life of the African population, but when it comes to mobile banking there are a variety of technologies circulating which each provide precise services and levels of connectivity and functionality, writes Simon Pont, chief executive of ECR Retail Systems.